Product prices and availability are accurate as of 2019-04-22 06:15:51 EDT and are subject to change. Any price and availability information displayed on http://www.amazon.com/ at the time of purchase will apply to the purchase of this product. Total Length(Each) : 45mm / 1.8";Diamond Head Dia: 10mm/ 0.4"
Diamond set is perfect for use with your high speed drilling or grinding tool. 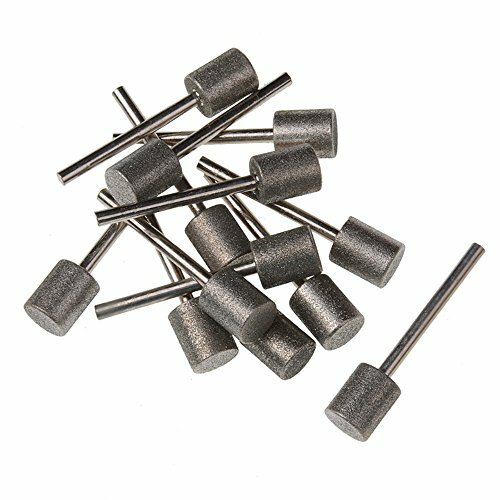 20 Pcs diamond point bit set in a protective plastic case, can be used for a variety of hole making and grinding tasks in glass, ceramics, porcelain, plastics. Shank Diameter(Each) : 3mm / 1/8"
Diamond Coated Length : 10mm/ 0.4"